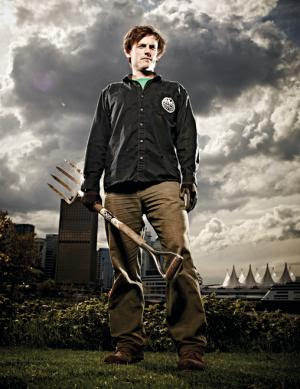 Someone just reminded me about the BC Business article about Inner City Farms that came out in 2011. In particular, the image of Andrew as a farming superhero. I thought it was worth re-posting here. Thanks again for the great shots Blas.